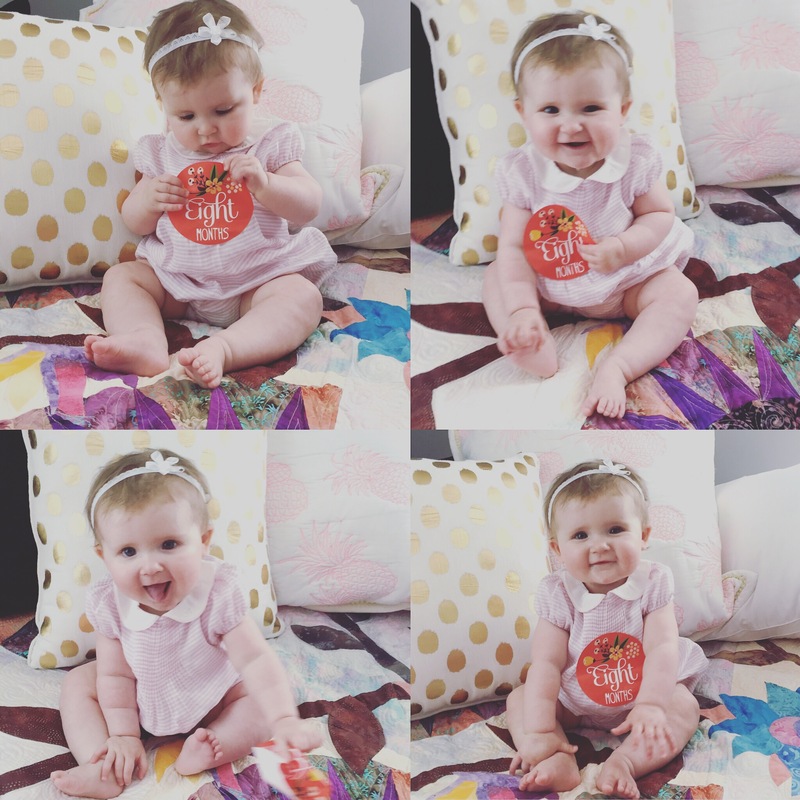 On April 19th, my sweet Zoe turned 8 months old. I never knew it was possible to cry and smile at the same time. When they say, “Enjoy every minute, they grow up way to fast,” – they weren’t kidding. I do, but I don’t. The newborn stage is so sweet, but once Zoe turned 6 months old she became so playful, and life became the most fun ever. 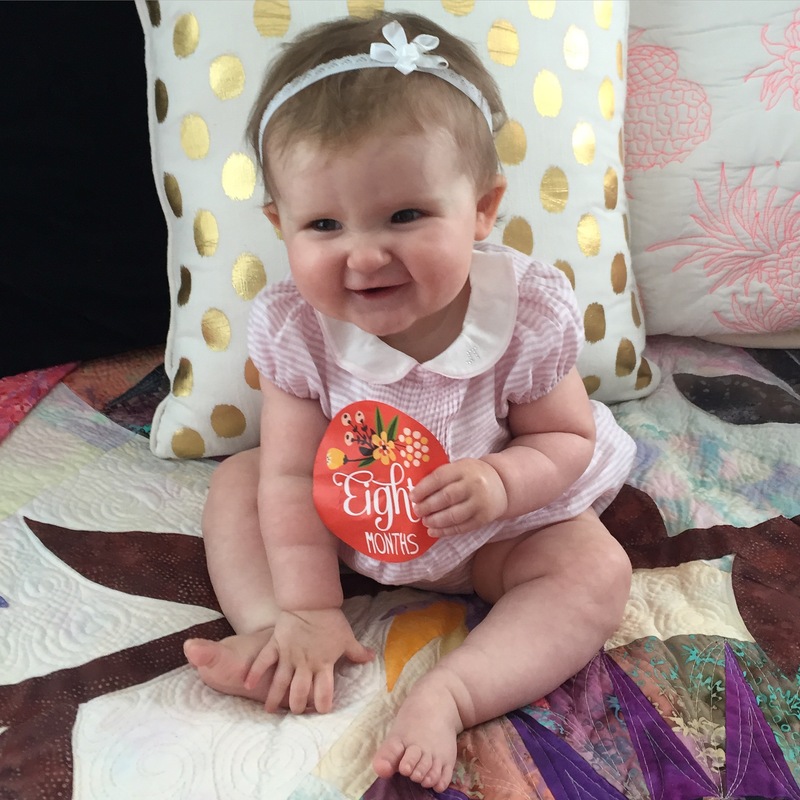 Now at 8 months she is even more playful… Her personality is shining. I will always miss those unforgettable sweet, tiny, precious newborns snuggles. When Zoe would sleep peacefully on my chest listening to my heartbeat. Snuggled in her Solly Baby wrap, nothing would wake her. From day one we have always been learning about eachother and the world around us. And now at 8 months Zoe is more curious than ever. Here is what we have been up to. 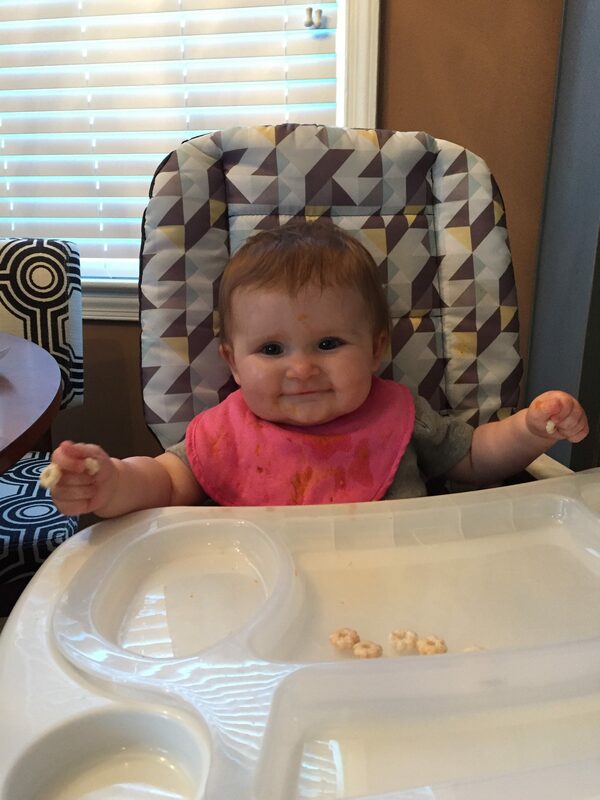 January 19th – Zoe at 5 months old, we introduced sweet potatoes to her as her first food. The American Pediatrics says you can start feeding solids to your baby anytime between 4-6 months. However, they highly recommend you wait until 6 months, unless your baby is showing signs they are hungry. I gave Zoe little bits of food here and there at 5 months, because I wanted to test out feeding her, so if there were any concerns I could get my questions answered at her 6 month check up. Turns out, that although Zoe was drooling buckets, and eyeballing our dinner plates, she was not ready. So I only gave her little tastes (not every day) and decided to hold off for a regular eating routine until she turned 6 months. At 7 months, we got Zoe a high chair. This has made meal times so much easier. The high chair has a big tray, so she can really see her food, touch her food, play with her food, smell her food, taste her food. It is important for babies to use all their senses, especially their sense of touch, in order to get use to different textures. Now at 8 months she is an eating machine. It is my job as her mother, to expose her to as many foods as I can. (We already exposed her to peanut butter.) If she doesn’t seem to like something, I try again and keep offering it to her. I am actually having so much fun making her, her baby food. (I am going to write a separate blog post on the baby food making and recipes.) She loves fruit, however, one of her favorite things to eat is Puffs. She also really enjoys me eating with her. I am very proud of her because she is starting to get use to different textures. Zoe has always been a great sleeper. (Knock on wood.) She has always given us cues to tell us she is tired – she rubs her eyes and yawns. She has one morning nap, and one afternoon nap. If for some reason she cat naps through out the day, I put her to bed 30 minutes earlier. She has a regular night time routine, and morning routine. She goes to bed usually at the same time every night and wakes up at the same time every day. She is definitely a morning person. Because the crib is so much bigger than the bassinet, she has a lot more space. She moves around like crazy, and usually ends up horizontal. When she slept in her bassinet as a newborn, she would turn her head in the direction to face me, and fall asleep that way. Now when I see her sleeping in her crib, she normally sleeps on her left side which faces the wall. 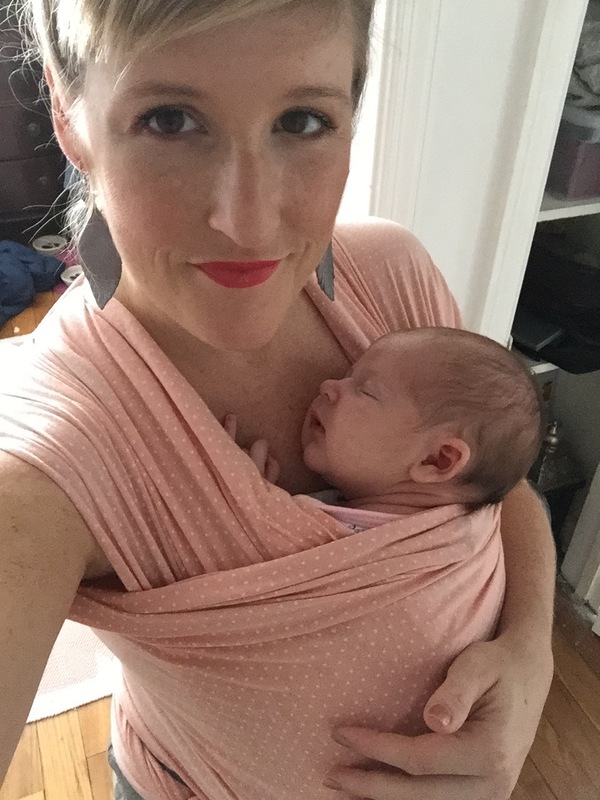 She loves her halo sleep sack, being swaddled (arms out), and silk blankets help sooth her. She use to always sleeps on her back, however on March 28th, I went to check on her, and she was sleeping on her side. Ever since then I now see her sleeping comfortably on both her back and her side. 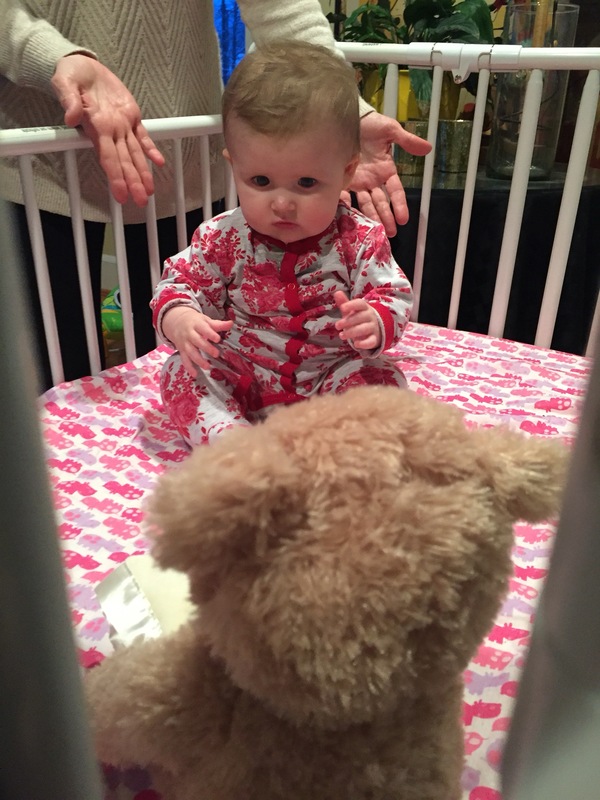 On February 15th, Zoe sat up strongly and confidently on her own. She had been practicing, weeks leading up to that day, but could only hold it for a second. She loves sitting and playing with her toys. Now at 8 months, she wants to stand. She hasn’t started crawling, but she is rolling, wiggling, and wants to see everything. Around April 15th, she started to cry when I would leave her, and she now always wants me to carry her everywhere I go. March 4th, I let Zoe paint. 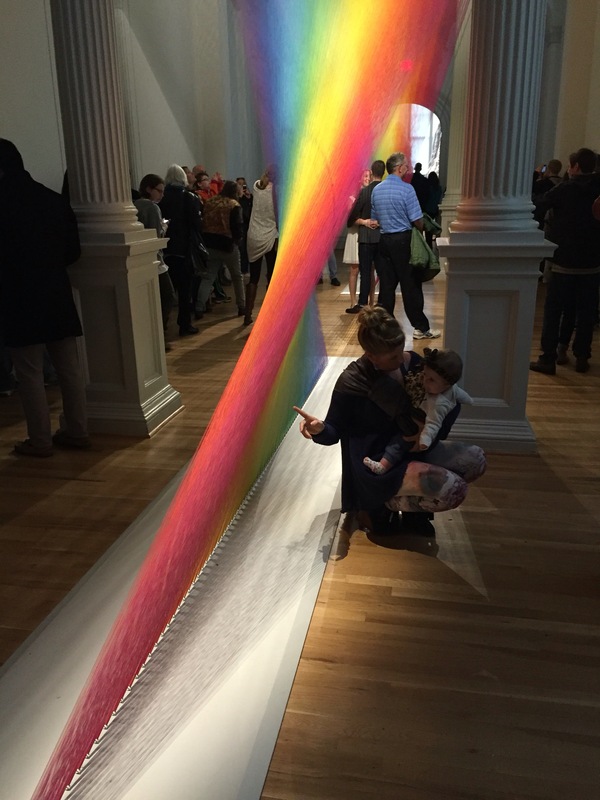 I recently read an article about how the new play room is the new art room. I love this idea- Zoe definitely needs an art room. 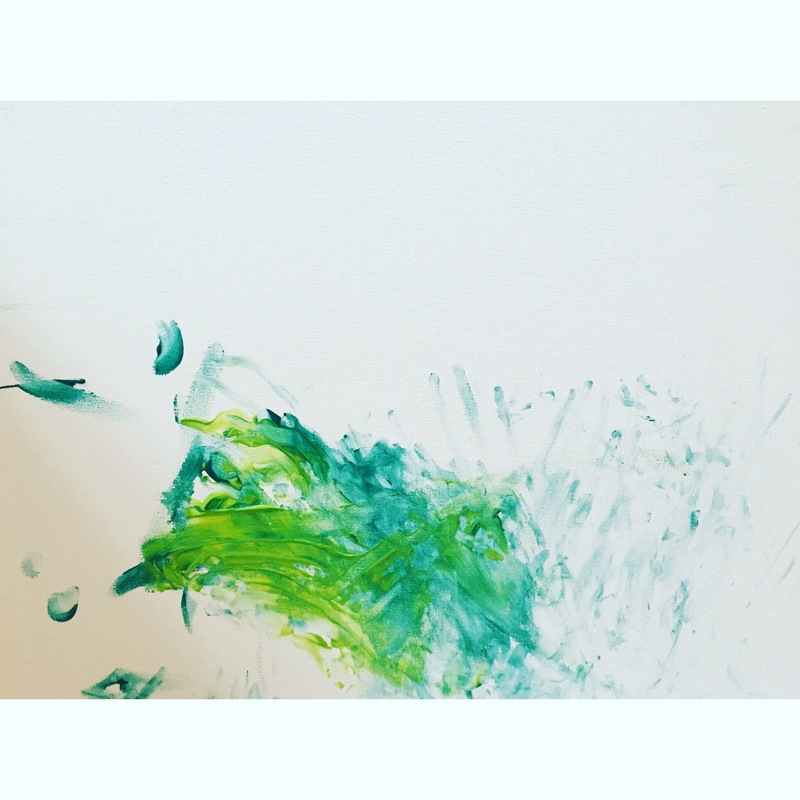 Because Zoe was confidently sitting, it was the perfect time to introduce paint to her. I stripped her down to a diaper and put a canvas on the floor in front of her. I opened some non toxic kids paint, put her pacifier in her mouth (prevent her from eating paint) and let her go to town. She didn’t know what to do at first, but once I showed her she had tons of fun. It’s important to let babies get messy, explore, discover, and be creative. Painting allows her to play with color. Touching the paint and canvas, allows her to discover new textures. It is also great for their motor skills. Putting a canvas horizontal on the floor is a different feeling/vibe, then putting it vertical on the wall. I’m hoping to build confidence through art. 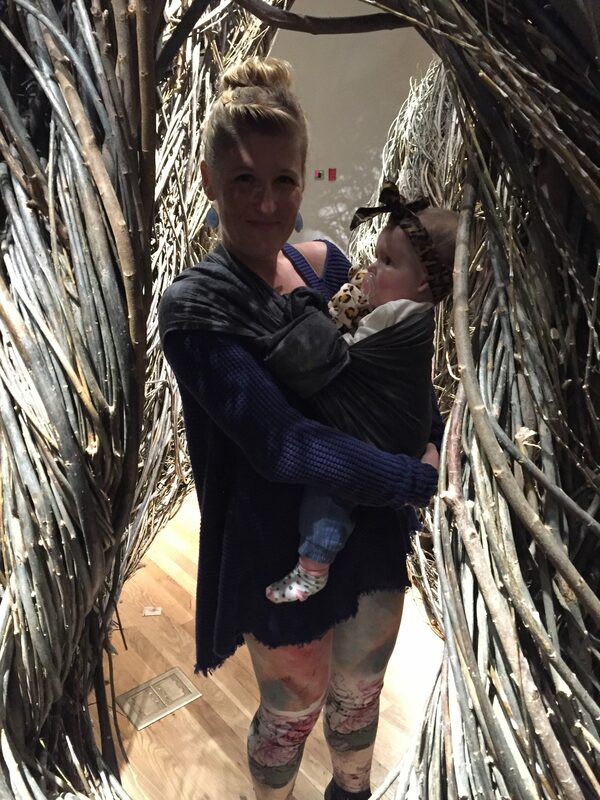 On March 19th, I took Zoe to the Wonder exhibit at the Renwick Gallery. She absolutely loved it. March 5th, Zoe had a play date with her friend Sabine. She got to jump in the Jolly Jumper. She loved the Jolly Jumper so much, that she now has a jumper of her very own. (Thanks Lydia and Debbie.) I put music on, and let her dance and jump away. 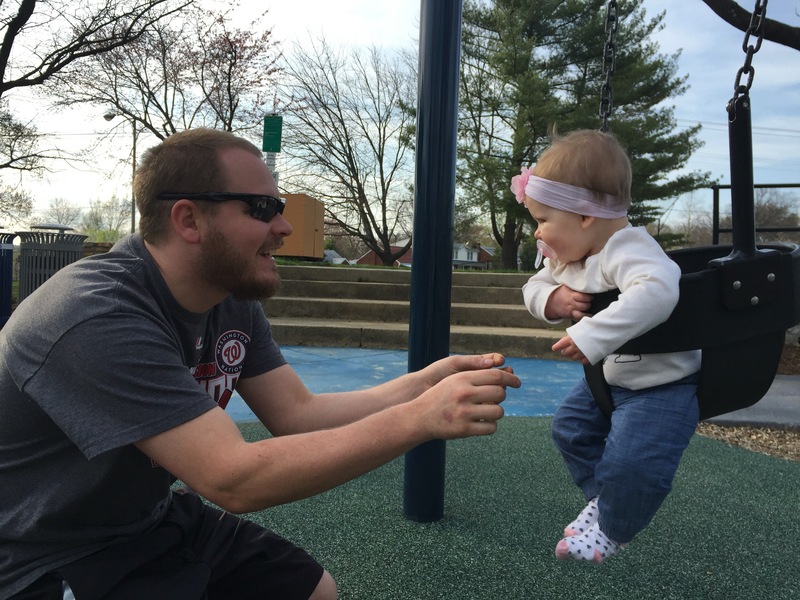 March 10th, I took Zoe to the playground for the first time. She loves the swings! She also loves people watching! Zoe also loves to dance. Dancing is her thing. She also loves her ABC song. She loves music. Cold play is her favorite. I have been reading to Zoe since she was born. I am slowly growing her personal library. We are collecting Shel Silverstein books and Dr. Suess books. However, she loves The Pout Pout Fish, Chicka Chicka Boom Boom, and Where the Wild Things Are. 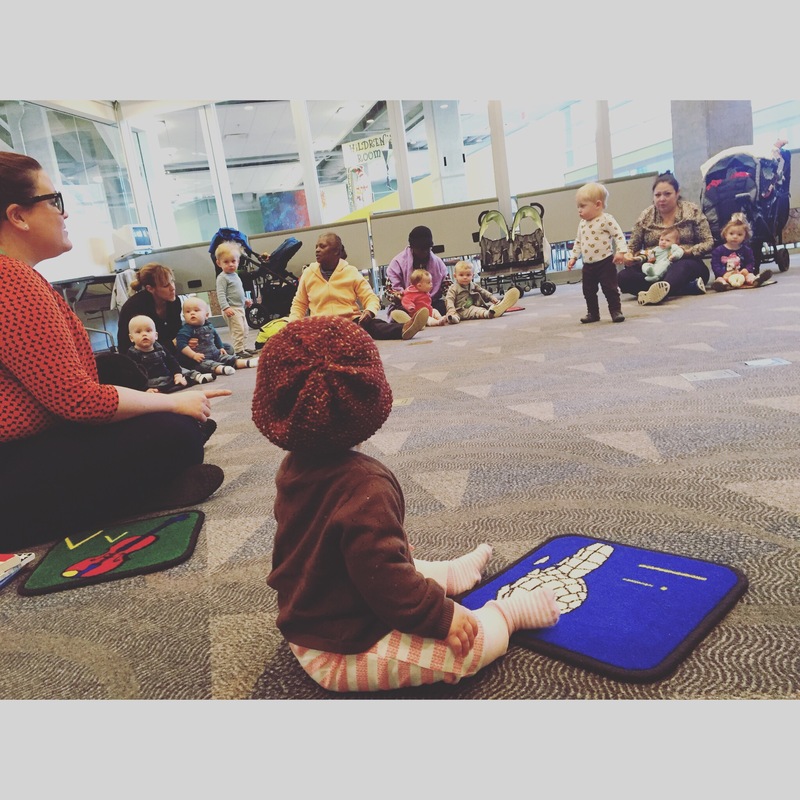 On April 6th, I took Zoe to her first story time. She loved it. After the librarian was finished singing a song or reading a book Zoe would clap. After the class was over, they bring out all the toys so the babies can play, and us mama’s can socialize. It has been really fun for both of us. We love it. Although, Zoe is not crawling and has no teeth yet. (I’m okay with that… We don’t need Zoe growing up to fast.) On March 16th, Zoe started clapping for the first time. Now, we are working on waving hi and bye. Anyway, that is what we have been up to these days. As you can tell we are super busy, but having fun! Happy 8 months, Zoe! You have been my greatest adventure, I can’t wait to see what other amazing thing you will do, learn, and discover. I love you, Always.